Portland, ME – Looking for something to do this weekend? RE/MAX Shoreline's very own John Robinson provides some great ideas in this Harvard Magazine article! John Robinson, our Portland-based commercial broker, is a man of many talents. He earned his BA from Harvard University and his MFA from Brown University. He has written a number of books, including the novels The Sapphire Sea, A Fistful of Diamonds, and the nonfiction book A Concise History of Portland, Maine. 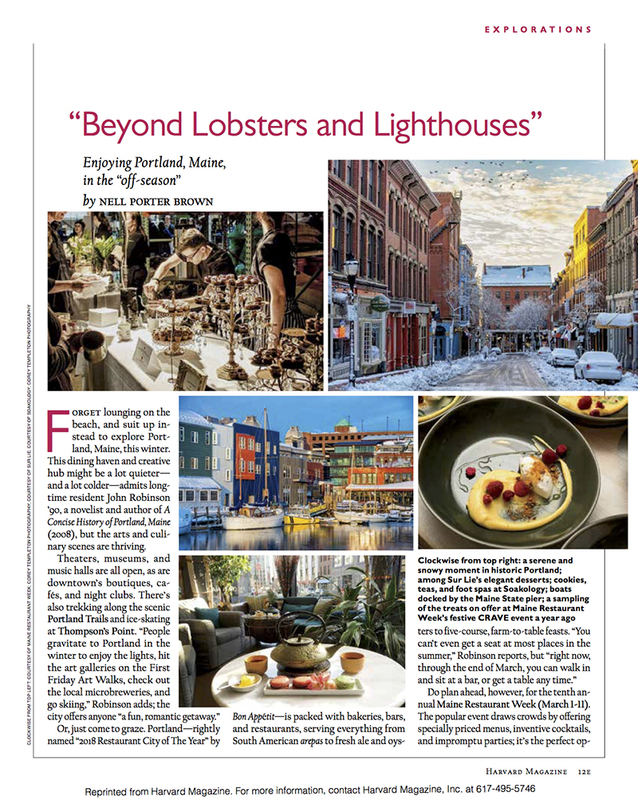 In this contribution to Harvard Magazine's most recent issue, John provides a terrific review of all the wonders that wintry Portland has to offer.